Key Difference: Kitkat is also known as version 4.4 in its scientific language, while lollipop is version 5.0 that was announced in November 2014 and succeeds Kitkat. Kitkat and Lollipop are not types of delicious chocolates, but are also two versions of Google’s Android operating systems. These follow in the long list of chocolate or dessert inspired names for the different android versions Google has concocted. Android Kitkat is also known as version 4.4 in its scientific language, while lollipop is version 5.0 that was announced in November 2014 and succeeds Kitkat. 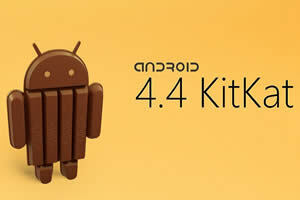 KitKat was introduced in October 2013 and succeeds Android Jelly Bean, which covers versions 4.1, 4.2 and 4.3. Although, it was initially named Key Lime Pie, when it was launched, Google changed it’s name to KitKat. KitKat offered interesting features over the previous version. 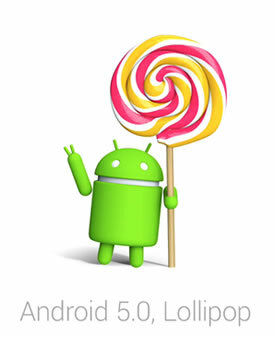 The android Lollipop is the latest version released by Google and is yet to hit the market in any Google based device. Some phones have already received the update, with many other phones still waiting. Lollipop has changed drastically over KitKat and also includes a whole new design and look of the UI. Android Runtime (ART) with ahead-of-time (AOT) compilation and improved garbage collection replaces Dalvik. New applications, home button, recent apps button and back button have changed been changed in design to circle, square and back, respectively. 2D list of running applications with mini visual, allows closing apps with a swipe to the left or the right. Drop down bar that shows the apps in a tile format with the user profile taking up on tile on the top left corner. Double sliding on the notification bar allows access to quick settings, which includes screen brightness slider, notifications (including do not disturb), and cast screen. User profile is a small circle on the top right corner instead of taking a tile. Has a pre-installed battery saver mode. Project Volta: reorganises background app activity into batches to save unnecessary phone waking, does not send automatic data requests if it sees a weak signal. Increases battery life by approximately 35%. Pattern, Face recognition, PIN code, etc.